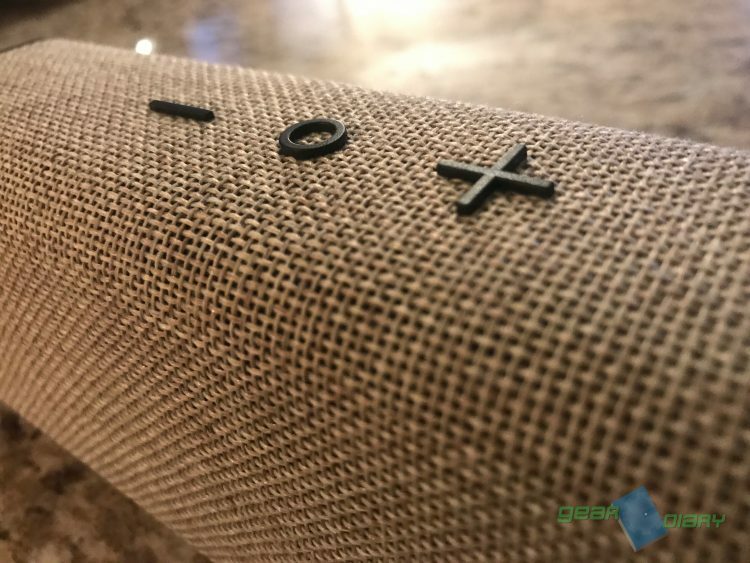 With summer right around the corner and pools officially open, chances are you’re looking for a really nice speaker to listen to your tunes when you’re on the pool deck, or even sitting in the sand on the beach. Well, look no further as the FUGOO Style-S may be the only essential you need (other than your towel) this summer. 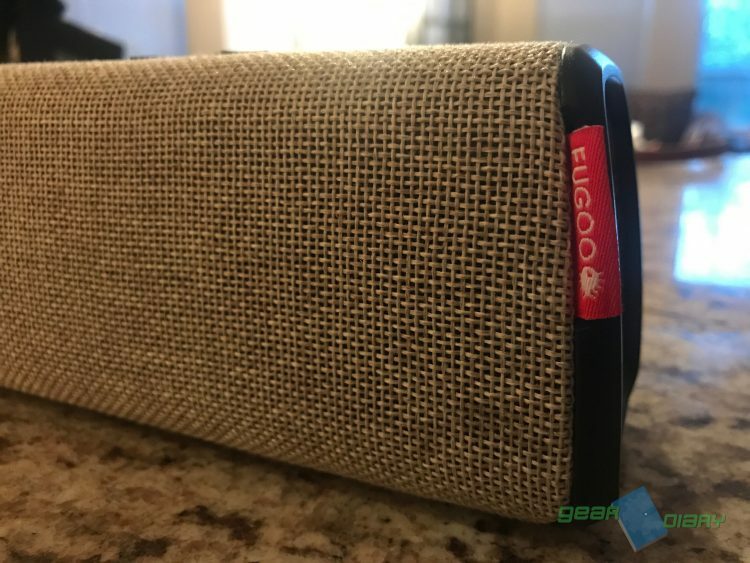 Known for their high-quality rugged, yet waterproof speaker, FUGOO sent us over their Style-S, which features the same design as the Fugoo Style we reviewed last year, however with a smaller footprint, hence the name Fugoo Style-S. but size isn’t everything, as the Fugoo Style-S is everything you’d get from its larger counterpart in terms of sound, but way more portable. 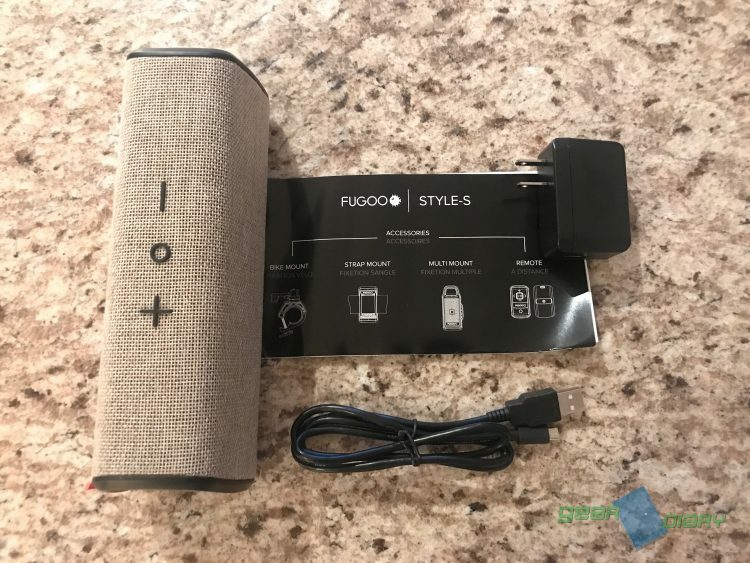 The Fugoo Style-S has been the speaker I’ve used every weekend as I’ve sat poolside since my pool opened and not only I love it, but the people sitting in beach chairs nearby clearly love both my music selection and the quality coming out of the speaker itself. Fugoo kept everything pretty simple from the controls at the top of the speaker, to now the ability to charge via USB instead of that third-party plug that the larger Style speaker had (which I for some reason cannot find). This a saving grace when you possibly forget the cable on a trip, because no matter where you go, you can find a micro-USB cable. You can’t really say the same thing about a specific AC adapter, so I’m happy that FUGOO opted to take this route. Featuring 20 watts of audio, even playing the Fugoo Style-S at a normal listening level, it can be heard not just from where you’re sitting, but even while you’re splashing away in the pool. That could be due to the two full range drivers and two passive radiators built-in that deliver an unmatched fidelity you won’t get from those cheap speakers you might pick up from your local department store. One issue I’ve had with previous speakers is that especially listening outdoors, you get more bass than you get sound, but this certainly isn’t the case here. I’ve found myself quite often jamming to the tunes, mouthing the lyrics as I’m in the water, a solid 20-plus feet away from the speaker and having the ability to hear each word distinctively. Even compared to the larger FUGOO Style, the Style-S is simply amazing. When you leave the beach or pool, it doesn’t feel like your lugging around a huge speaker, thanks to it only weighing 1 pound, 7 ounces. Fugoo also was nice enough to include the mounting accessories pack that allows you to attach it to a bike, tree, fence, or even basketball pole, which I plan on doing in a couple of weeks for a tournament. 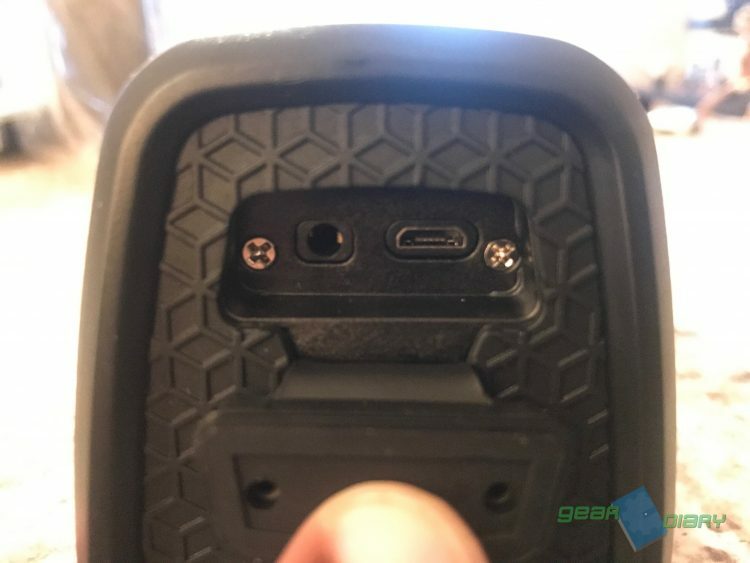 Now, the mounting accessories are an additional cost which you’d figured would be included in the $149.99 price tag, but if you don’t see yourself mounting your speaker to a fence or something, you’ll be fine just leaving it sitting on the ground as it’s also durable enough to take a ball accidentally hitting it. Another feature that’s worth mentioning is since the speaker is waterproof, if you are kind of clumsy and somehow manage to spill a glass of your favorite beverage on it, or even drop it in the pool somehow, the Fugoo Style-S actually can survive being submerged in up to three feet of water for thirty minutes, as well can survive a waist-high (or 5-foot to be more accurate) fall. So if your Fugoo managed to get mud or dirt on it, the company actually advises you to grab a hose and spray it down, which is the first time any speaker company has told me this, by the way. As of right now, the Fugoo Style S is the only speaker I’ll be carrying with me, not just to the pool, but on trips as well. 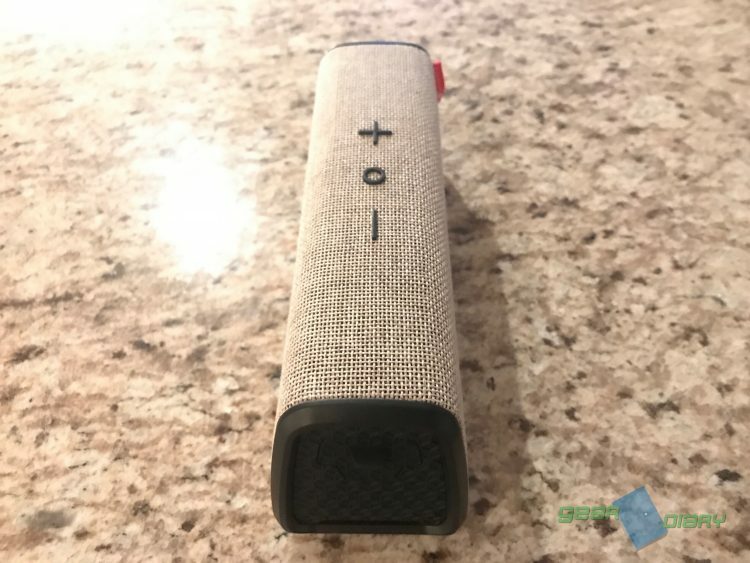 It’s a great companion in your everyday carry, and even though it will set you back almost $150, the price itself is worth it, especially right now where you can actually and get a 30% discount off if you purchase two at the same time! 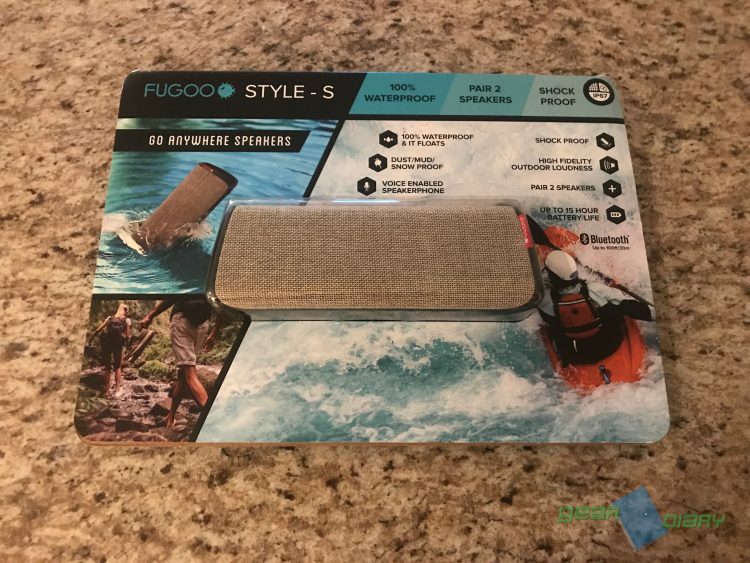 For more information on the Fugoo Style-S Waterproof speaker, you can head over to FUGOO’s site today.